The time had finally come, the long awaited feast at Goodmans. 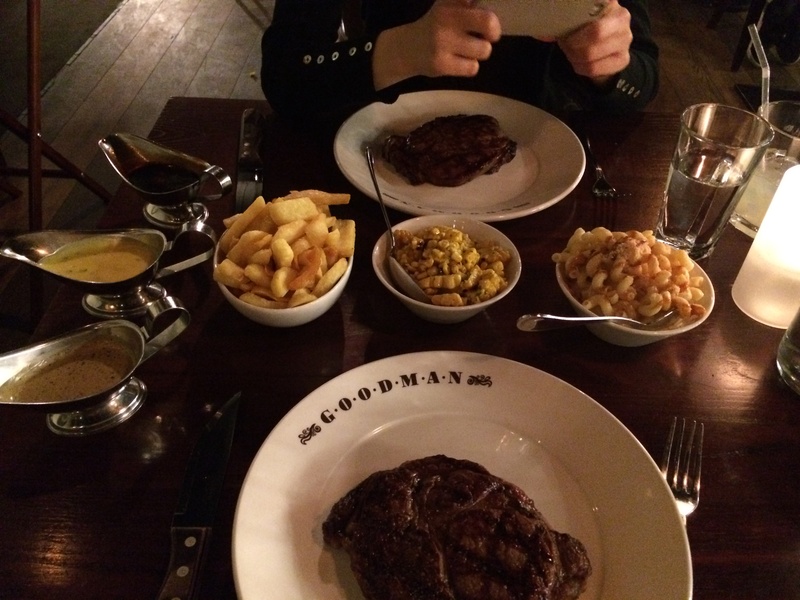 From the people who brought you burger and lobster, eating a Goodman’s steaks was on the hit list. O boy did they rob me dry, but it was every single penny. To be brutally honest, steaks never appealed to me, when I’m out for dinner I steer away from them. 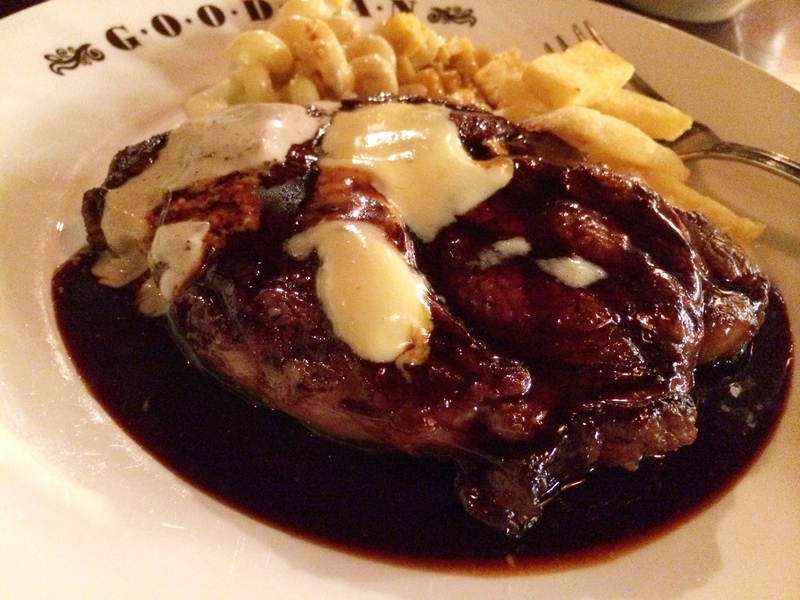 However Goodman’s is often raved by foodies and was the place for a good piece of meat. There were far too many choices, the special black board and menu of Nebraska Angus beef. 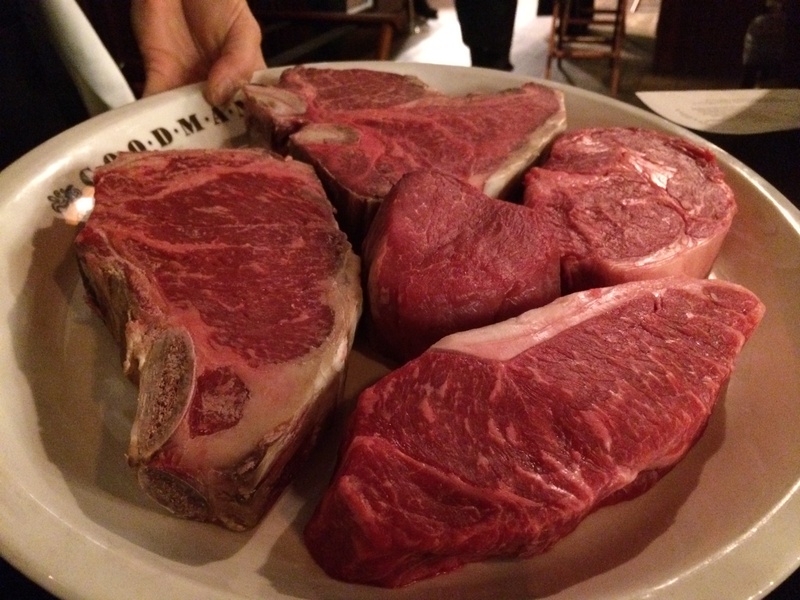 The waiter did a good job to explain the cuts and how the meat is dry aged on site. She came out with a tray of meat cuts; it had great marbling with raw red pink flesh. My friend and I got greedy and ordered the 400g New York Sirolin cut each. 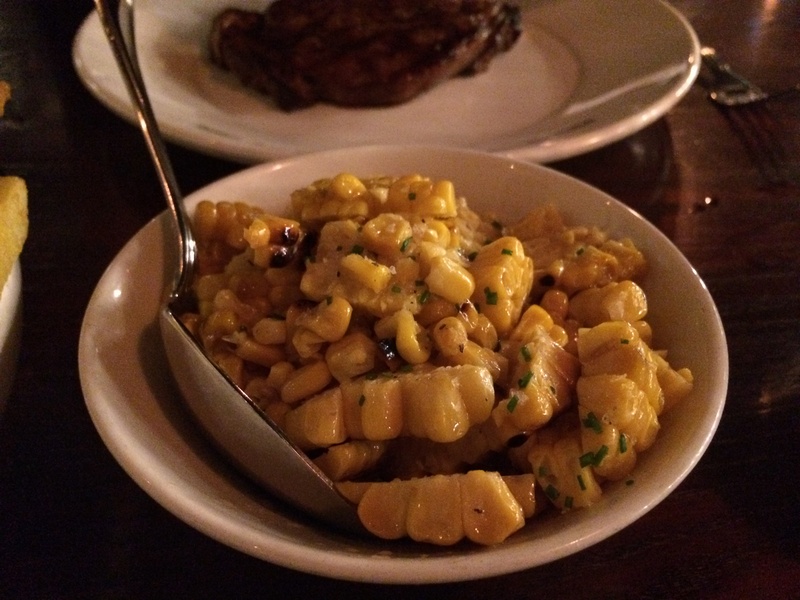 Adding truffle chips and lobster mac and cheese for our sides. 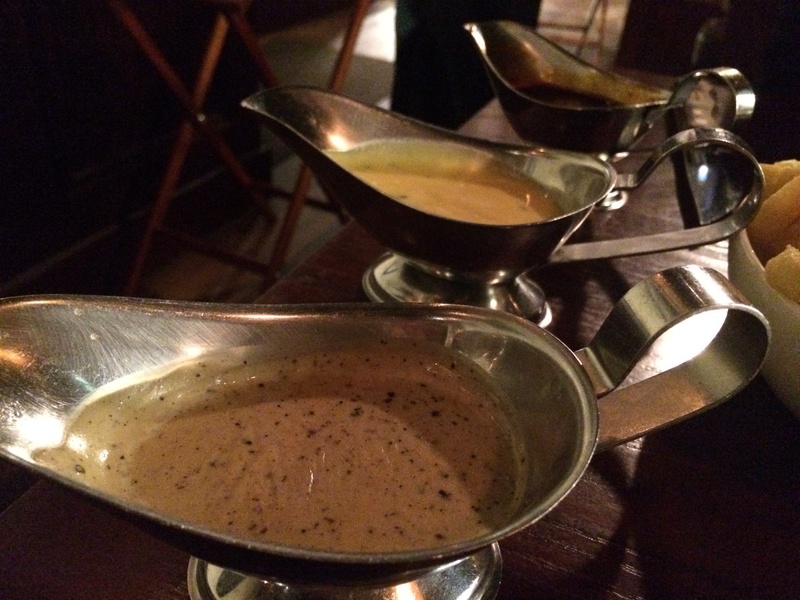 We got all three sauces at no extra cost. 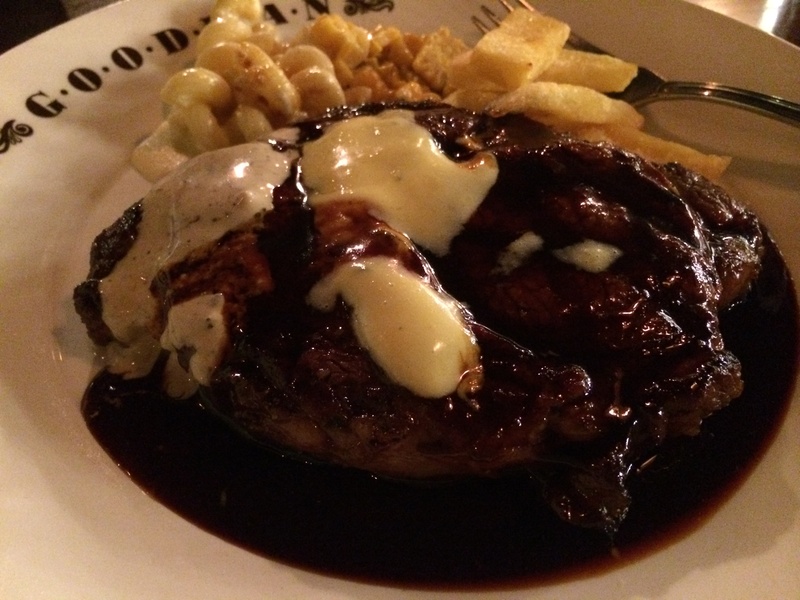 Wow, the steak dazzled, still sizzling from the charcoal oven. The meat was perfectly cooked with juice ready to drip on the plate. On it’s own the meat was smoky and flavoursome, and slightly metallic. 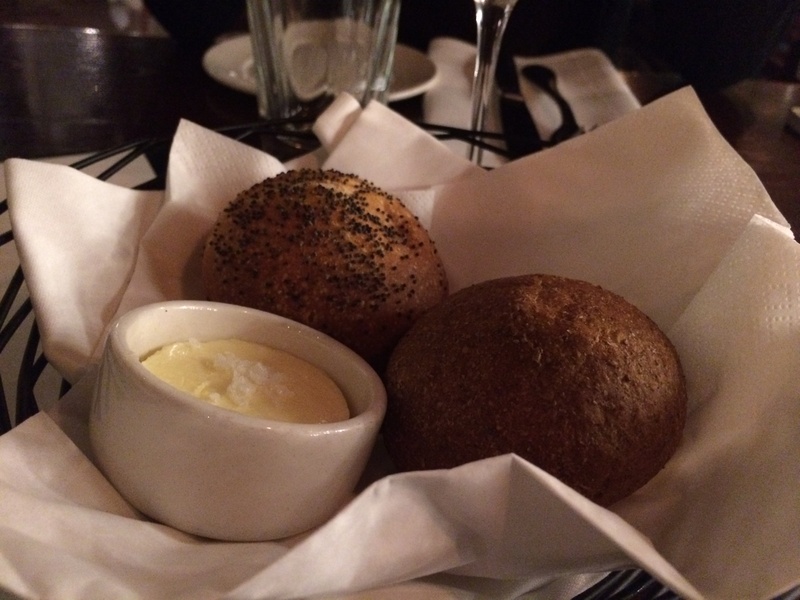 Amalgams of flavours were turned as soon as I added the garlic butter, and Stilton sauces, total heaven in the mouth. 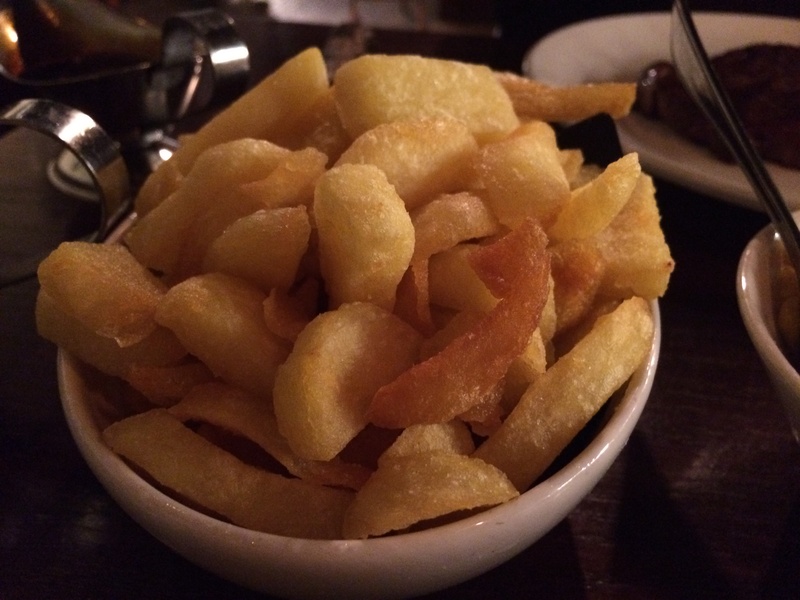 The truffle chips, were fluffy inside great smoky flavour. The mac and cheese also delivered rich creamy indulgent. We struggled to finish everything a first, next time we would order a steak between us. I think we spent £50-60 each; I give it high ratings for decent steakhouse in London. 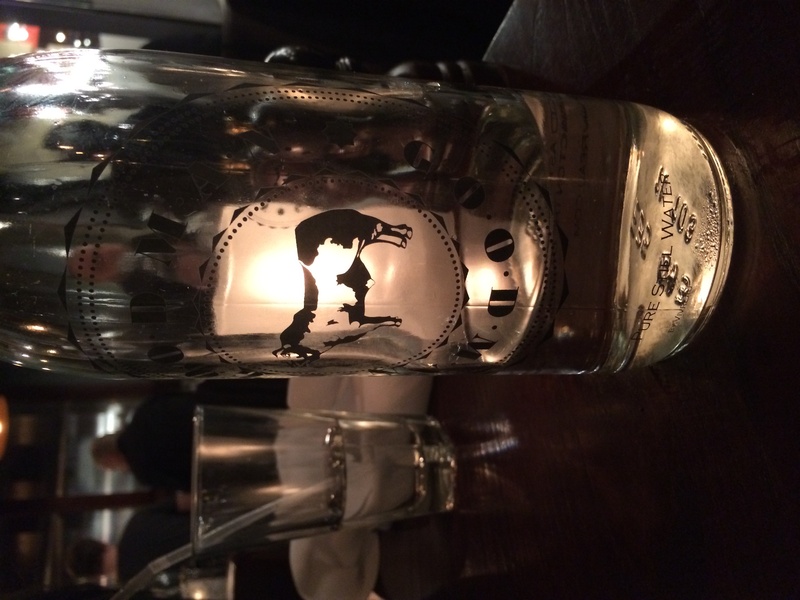 Overlooking the River Thames, in the Canary Wharf area makes a perfect date night or an intimate meal.